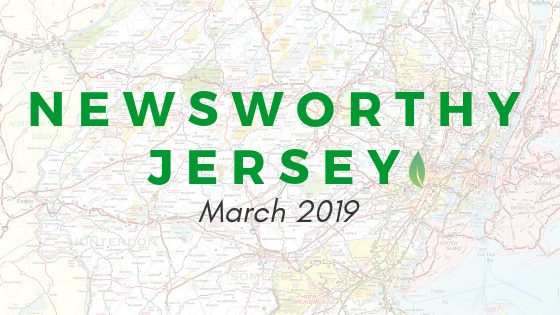 We rounded up some of the top energy efficiency and clean energy news effecting New Jersey residents and businesses in March. "According to the Governor’s Budget in Brief, this budget will cut the Clean Energy Fund diversion in half, returning over $70 million to support its intended purpose. " "State regulators in January cleared the way for what’s know as “community solar” projects to come to cities and towns in New Jersey, likely in the coming year. Those projects will allow residents who can’t put solar panels on the roofs of their homes — because they can’t afford it, or their houses are shaded or facing the wrong direction, or they are renters — to sign up for a subscription to a shared solar installation elsewhere in the state. " " The Livingston Township Council voted Wednesday night to give PSE&G customers 100% Green Energy for the next sixteen months, a move that has already won them plaudits from a leading state environmentalist and U.S. Rep. Mikie Sherrill (D-Montclair). " "In the first of NJ Spotlight’s 2019 series of energy roundtables, held in Hamilton Township on March 15, experts discussed the possibilities, practicalities and benefits of transitioning to a clean-energy future."